LILONGWE-(MaraviPost)-Malawi Government through ministry of agriculture on Tuesday rallied behind the call for crop diversification amid ant-tobacco campaign that has crippled the industry. The backing comes following Agriculture Transformation Initiative (ATI)’s intensive campaign on crop enterprises against sole dependence on tobacco. 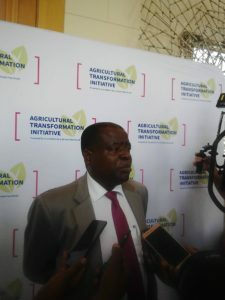 Secretary for Agriculture and Water Development Grey Nyandule Phiri told the two day Agenda for Agriculture Transformation Summit in the capital Lilongwe that Malawi government was in line with ATI’s agenda of crop enterprises. Nyandule Phiri emphasized the need for gradual existing from tobacco farming reliance amid the industry’s decline. He lauded ATI for timely intervention for providing alternatives to tobacco among local farmers. “Despite Malawi’s 60% reliance on tobacco for its forex, it’s time we venture into other crops in case the tobacco industry dies. This is what government is encouraging for crop diversification in line with Agriculture policy and Agriculture Investment Plan. “ATI intervention is timely and such Malawi government will support the initiative fully that our local farmers venture into bee keeping, dairy farming and others not only on tobacco,” says Nyandule Phiri. 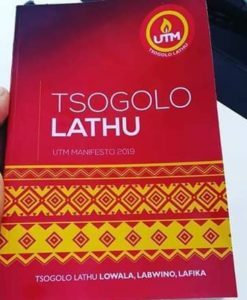 The Agenda for Agriculture Transformation Summit has attracted agriculture experts, business captains, farmers, media and among others which is expected to end on Wednesday at Bingu International Convention Centre. This is the first Agricultural Transformation Initiative Annual Summit with Key Stakeholders in Malawi to Discuss Economic Diversification and address challenges facing smallholder tobacco farmers as a result. The Agricultural Transformation Initiative (ATI) is co-hosting the first annual Agricultural Transformation Summit with Palladium this week as a part of its commitment to support the diversification efforts of tobacco-dependent countries, beginning with Malawi. The two-day summit features a series of discussions with key private sector leaders, research experts, and government officials about how the agriculture sector in Malawi can strengthen alternative value chains and the overall ecosystem. Renowned journalist Femi Oke is moderating the event and participants discuss strategies for profitable and inclusive diversification, as well as best practices for implementing agricultural transformation. The summit also features a pitch competition, an award ceremony, as well as the introduction of new partnerships. The pitch competition is being led in collaboration with mHub, a local business incubator. Three young agri-preneurs (entrepreneurs who have promising agricultural ventures) to participate in a competition and panel as a first step in the design and implementation of a three-year Agri-preneur Accelerator Program that is due to launch in 2019. Additionally, multiple announcements will be made about new initiatives that will give Malawi partners opportunities to engage with the ATI. Among these enterprises is a partnership to help build the future human capital of Malawi’s agricultural sector with the Rotary Club of Lilongwe through scholarships to students in the Agriculture Faculty of the Lilongwe University of Agriculture and Natural Resources (LUANAR). “As the global demand for tobacco decreases, we believe it’s imperative to support efforts to diversify economies and lessen the reliance of smallholder farmers on tobacco. This is particularly true in Malawi where tobacco accounts for over 60 percent of the country’s total annual earnings and 13 percent of the economy as measured by the gross domestic product.” says Jim Lutzweiler, VP, Agriculture and Livelihoods, Foundation for a Smoke-Free World. To ensure Malawi’s economy can thrive despite a worldwide decline in tobacco demand and production, the ATI is working with smallholder tobacco farmers to facilitate the development of complementary structured value chains to make the agriculture sector globally competitive. One of the ATI’s first actions was to issue a request for Expressions of Interest to operate and manage a new Center for Agricultural Transformation in Malawi. The Center’s goal is ultimately to transform the lives of Malawian smallholder tobacco farmers by leveraging innovation in agricultural science and technology. In October, the ATI issued two requests for proposals (RFP) in support of additional projects in Malawi. The first RFP asks eligible private sector firms, research institutions, other interested entities, and partnerships or consortia to submit proposals that present viable market-led solutions aimed at solving current challenges for transforming smallholder agricultural livelihoods in Malawi. The second RFP seeks to engage in a 3-year preferred collaboration with qualified research partners to provide independent program evaluation and decision-focused research support to the ATI. The preferred partners will help nurture and promote the use of rigorous evidence by the ATI to improve its impact on smallholder tobacco farmers in Malawi.